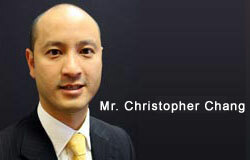 Mr. Christopher Chang was educated at Scotch College and completed his MBBS (Bachelor of Medicine and Bachelor of Surgery) at the University of Melbourne in 1993. After undertaking his internship and residency at Melbourne’s St. Vincent’s Hospital, he completed his Advanced Surgical Training in Urology in 2004 and attained his Fellowship of the Royal Australasian College of Surgeons (FRACS). During his Advanced Surgical Training, he spent twelve months undertaking clinical research at the Austin and Repatriation Medical Centre examining the potential role of tumour antigens in the development of a vaccine for urological cancers. 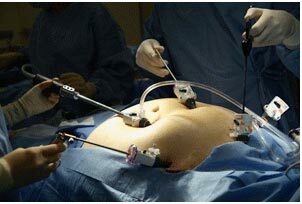 Mr. Chang undertook further post-graduate training in 2004 at the North Hampshire Hospital in Basingstoke, England where he completed a 12-month fellowship specialising in laparoscopic urological surgery with internationally renowned Urologist Mr. Christopher Eden. This training makes him one of first few Australian Urologists who have completed specialised training in performing laparoscopic radical prostatectomy. Mr. Chang was trained in prostate seed brachytherapy for the treatment of prostate cancer at the Seattle Prostate Institute, USA. He performs brachytherary at the Alfred Hospital, Prahran and the Bays Private Hospital, Mornington. Articles written by Mr. Chang have been published in international medical journals and Mr. Chang regularly attends and presents at medical conferences. 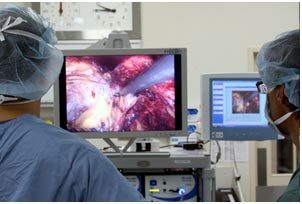 Mr. Chang supervises and trains medical students in his role as a consultant Urologist at the Alfred Hospital specialising in advanced laparoscopy. Mr. Chang's private practice, Port Phillip Urology, serves patients in Melbourne’s bayside region, its coastal areas and beyond. Mr. Chang has a special interest in minimally invasive laparoscopic urological surgery and he manages and treats a wide range of urological conditions including cancers, kidney stones, voiding dysfunction and other diseases of the urinary tract. Mr. Chang is registered with the Medical Practitioners Board of Victoria and is a member of the Royal Australasian College of Surgeons, the Urological Society of Australasia, the Australian Medical Association and the Melbourne Prostate Institute. He consults and/or operates privately at Linacre Private Hospital, Hampton; Como Private Hospital, Parkdale; Peninsula Private Hospital, Frankston; Beleura Private Hospital and The Bays Private Hospital, Mornington; and the Rosebud Surgicentre, Rosebud. The information on this website is provided for your general information, but is not a substitute for the specific advice of your treating doctor. Please seek medical treatment and advice if you are unwell.